Provide your customers with a mobile experience they will appreciate! 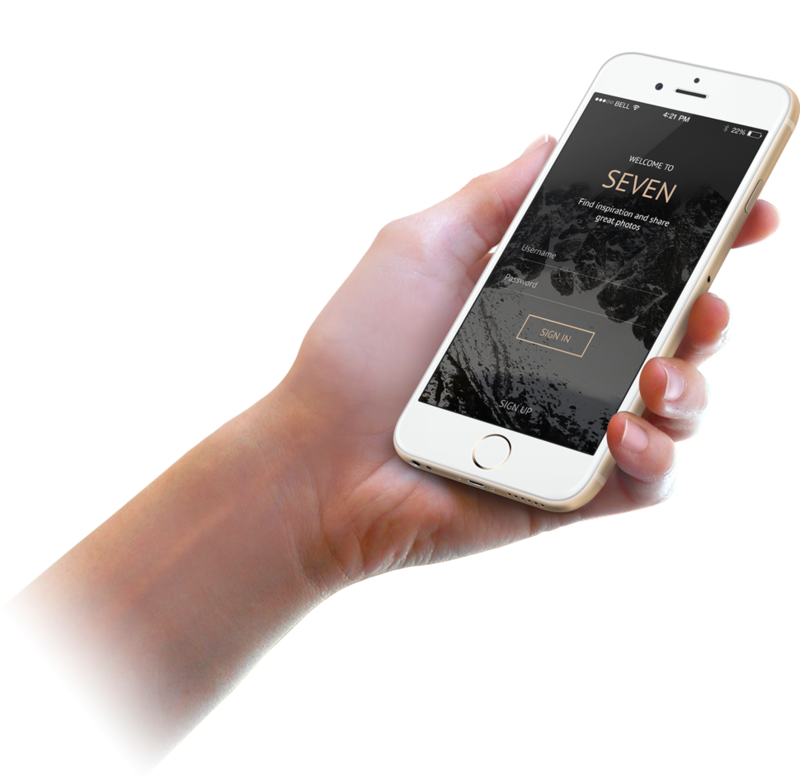 Get your custom mobile website in under 7 days. A mobile site is easy to navigate and allows your mobile visitors to find the information they need without needing to pan, swipe or pinch the screen. Additional mobile ready features such as “Click To Call” buttons and mobile ready maps allow site visitors to contact and find you in just one click. Search engines love mobile sites! Google have even taken the step to penalise sites which are not mobile ready and rank optimised sites higher! 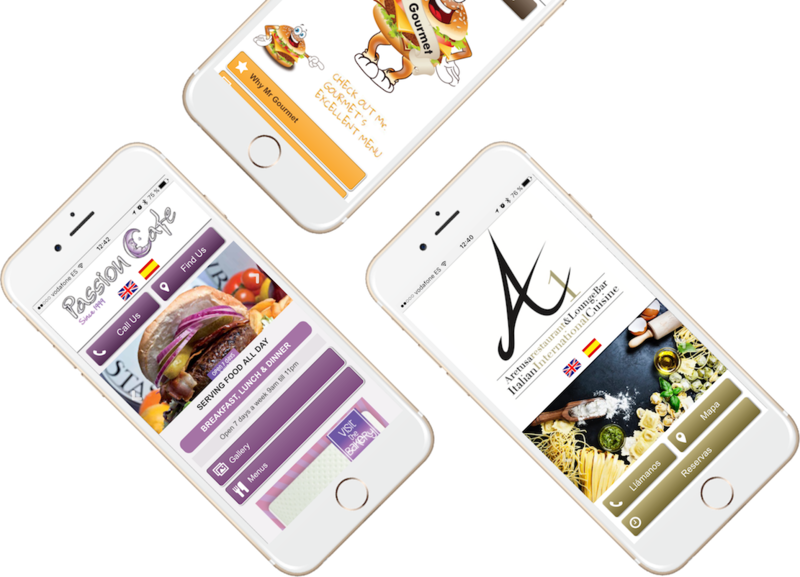 Restaurants are the single most popular search on the mobile web, and the experience your customers get when they visit your website from their mobile device matters. 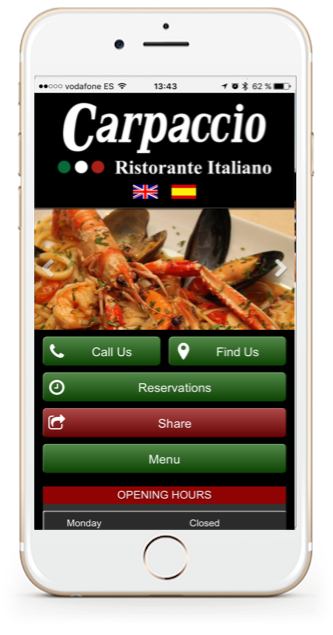 We can create your restaurant a perfect mobile website design to convert more hungry site visitors into diners, and ensure you’re loyal clientele keep coming back again and again. A mobile-friendly website means more than just formatting everything for the small screen. It has many great marketing features designed to help you fill your tables. For professional services like Lawyers, Removal Services, Veterinarians and Dentists a mobile website is a must. Clients are actively searching for these types of services using their mobile phones and if the site they are looking at is not easy to read on their mobile device then they are less likely to make contact. Additionally at times of need people need instant contact with services such as Plumbers, Locksmiths and Breakdown services, almost always when they have no access to the web other than via their mobile phone! 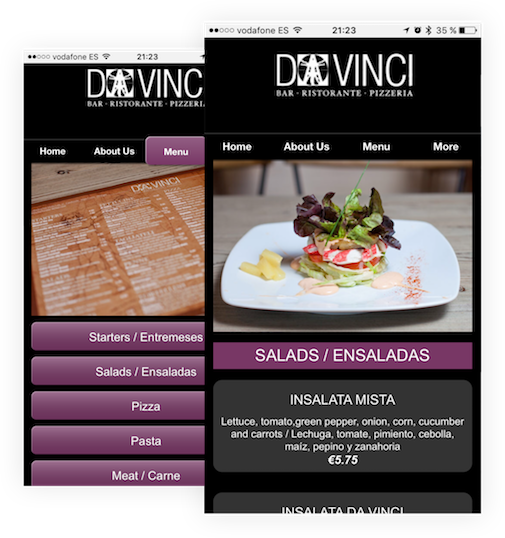 A mobile website design offers a simple layout without the need to pan and pinch the screen. A website with mobile friendly design will load faster on a mobile device, ideally within 5 seconds or less. Increase your number of phone enquiries with a simple Click-to-Call button. Give your customers a map with satellite navigation to guide them right to your door. Quick access to business contact information ideally in less than 2 clicks! Of those that looked up local information on their smartphone, 61% then called the business. Of those that looked up local information on their smartphone 59% then visited the business! Place your order and within 7 days we will send you a fully functional preview of your mobile site to review. Should you propose any changes we will action these and once you are happy with the finished product you simply sign off. Once signed off we will send you or your webmaster the instructions to setup a custom m. domain and apply the redirection code to your main website. If you need assistance with this we will be happy to help.